A Maine State Police trooper shot and killed a man, believed to be in his thirties, who reportedly stabbed his girlfriend to death Wednesday night in an Old Town apartment along Main Street. 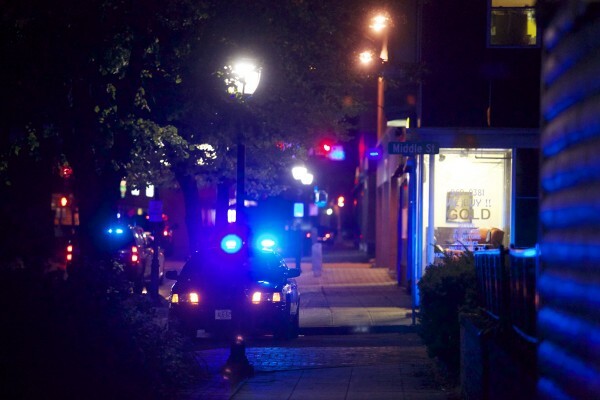 OLD TOWN, Maine — The Maine Department of Public Safety has released the names of a man and woman killed in a homicide and police shooting that took place at a downtown apartment on Wednesday night. April Haskell, 35, was allegedly stabbed to death by Christopher Ouellette, 28, in a domestic violence homicide, according to a statement released by Department of Public Safety spokesman Stephen McCausland on Thursday morning. Ouellette was shot and killed by State Trooper Barry Meserve. April Haskell had four children and her two youngest, ages 2 and 4, were in the third-floor apartment, which is located on the corner of Main and Middle streets, during the incident. They were unharmed and placed in the care of her sister. Maine State Police Major Crime Unit was still on the scene Thursday afternoon. Ouellette was arrested for domestic violence assault on April 24, 2009, while living in Bradford, the Penobscot County district attorney’s office confirmed Thursday. Whether the assault involved Haskell is something that the district attorney’s office representative could not answer, referring all questions to the Maine State Police. Ouellette was convicted of the domestic assault and ordered in June 2010 to pay a $300 fine, according to Bangor Daily News archives. An autopsy will be performed on Ouellette at the state medical examiner’s office in Augusta on Thursday. Haskell’s autopsy will take place on Friday. Police responded to the downtown apartment at around 6 p.m. after Ouellette called police to say he had stabbed his girlfriend, according to McCausland on Wednesday night. Meserve, a 15-year veteran of the Maine State Police, was placed on administrative leave with pay as state police and the Maine attorney general’s office investigate the incident, as is standard procedure in an officer-involved shooting. Ouellette and Haskell had lived in the apartment for about two months, according to McCausland. Each had a Facebook page. Haskell’s featured a picture of the two younger children, and says she is from Levant, went to Hermon High School and was a 2000 graduate of Eastern Maine Technical College. Ouellette’s page says he’s from Bangor and graduated from Dexter Regional High School.